Fiberglass versus aluminum hull houseboat? What's better? Fiberglass or Aluminum Houseboats? I am considering buying a used Gibson houseboat. I was told by an owner that they have to be removed from the slip, and the fiberglass hull sanded, epoxied where needed, and painted every ten years. This at a cost of $15,000. They are moored on Lake Mead (fresh water). The only two owners I know have done this and repaired water damage to the transom and other structural repairs in the hull. These are 25 year old houseboats. Is what they are telling me about maintenance of the hull true? What are your thoughts? I am thinking an aluminum pontoon houseboat would be much less upkeep. Well Steve, that's a good question. 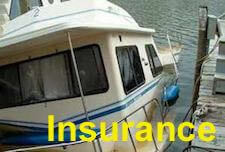 Yes, a complete bottom job, stripping, sanding, epoxy, transom, stringer, deck & roof water damage and repairs can get quite expensive. Fiberglass versus Aluminum hulls is a common question that gets discussed in many marinas around the world. 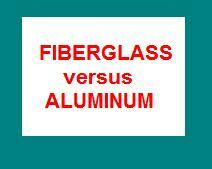 Fiberglass does require a certain amount of maintenance compared to aluminum, but both have their qualities. If you are looking at an older fiberglass houseboat, be sure to have a qualified marine surveyor examine the hull, transom, stringers, decks, upper structure etc... for water damage and delamination. If your looking at an older aluminum houseboat, get a qualified marine surveyor look at the hull and structure for galvanic corrosion, pitting, stress cracks and structural integrity. I happen to like both aluminum and fiberglass houseboats, since each one can be found around the world, and both have proven themselves in regards to value, durability, and both are repairable. This should become quite a large article since you're question is like asking what's better "a Ford or a Chevy". 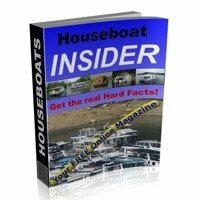 Hopefully some of our readers will share and post comments about their houseboat experiences to give you an even larger perspective and opinions. Comments for Fiberglass versus aluminum hull houseboat? 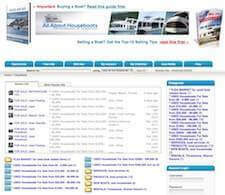 I have designed and built, yachts, houseboats and pontoon in all the above material, plus steel and ferrocement. 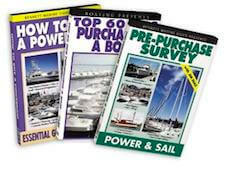 The last one I do not recommend, there are many factors to consider when either building or buying vessels in any of these materials. (1) Price: No good trying to buy a Rolls on a Volkswagen budget. (2) Maintenance: Steel gives you the biggest maintenance problem and is very heavy, with is a fuel and slipping factor, although it will take a lot of knocking around. Paints they have today offer very good protection. (3) GRP (fiberglass), can breakdown, given the conditions in ten years, it all depends on the protective gelcoat. Under a microscope, fiberglass is made up of tiny glass tube, which after being holed allow water to run down those tubes. The hull then has a prickly heat situation, forming blisters, hence the sanding and re-gelcoating. Then has the hull been hand laid or spread on with a "chopper gun", hand laid is by far the best method, as the chopper gun, if hot rolled after, will include bubbles, or blistering. Glass is heavier than aluminium, creating a deeper draft which means more hull area to maintain. (4) Finally aluminum, lightest of them all, but noisy. Cheapest to run, but bobs around a bit, less hull in the water, less maintenance. Better resale value, but more expensive to build or buy. Problems: Osmosis, not only through bad internal wiring, but also from being moored along side a vessel that emits a different electrical current. Wrong tensile strength materials used in construction. Badly welded causing porosity, cracks and built in stresses. 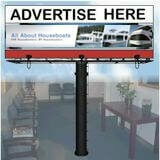 Your Fiberglass versus Aluminum Houseboat article caught my eye. I was just looking around this morning and read your question about fiberglass hull Gibson's. We have a 14x58, 1984, remodeled Gibson Houseboat moored in Seabrook, Texas. We call it our dockuminium. It has a fiberglass hull and, of course, we are in salt water. Every 3 years our marina hauls us out and sands and structurally checks the hull for a cost of under $3,000. They do all the repairs on-site since we are at a full service marina and they will put us back on our dock within 5 days at max. We love it. We wouldn't and couldn't have anything else in the way of service and hull type. Gibson makes a hell of a houseboat. Everything still works and our friends are still wowed when they come and visit. We are surrounded by NASA personnel and they love her as well. She's perfect for parties or just chilling out in. 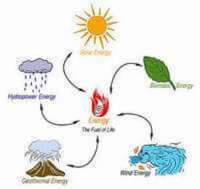 We just replaced the A/C units last year after almost 25 years, and with the new energy efficient ones our electricity bill is now under $50.00 a month, and we spend every weekend on board with the electricity running full tilt. I just had to respond to your 10 year maintenance comment because that is just too long to go in between checkups. There is a service offered here whereby local students will dive and inspect the hull from below for about $200-$300. If they see anything, they can either repair it on the spot, or bring it to your attention. Also, based on their judgment you can possibly put off that $3000 sanding job for another year. We have never heard of a $15,000 re-sand/repair job for a fiberglass hull and especially for a Gibson.